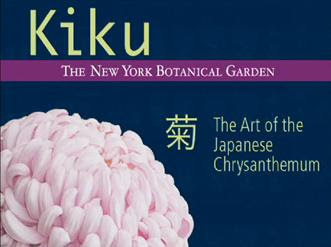 A new exhibit at the New York Botanical Gardens will showcase the beauty and culture surounding Japanese chrysanthemum horticulture. The displays alone are breathtaking but when combined with the rich Japanese cultural programming that NYBG has integrated into the exhibit that runs from October 19 through November 16, 2008. It is without doubt a tour de force of the art, science, and culture of Japanese chrysanthemum.